Centennial, CO – September 2, 2016 – Mobile Solutions, an award winning provider of managed mobility services (MMS), announced today that it received a growth equity investment from Houston, Texas-based Clovis Point Capital. The investment will allow Mobile Solutions to execute on its long-term growth strategies. With this funding, Kim and Jim Johnson will remain in charge of the operations of the company. Under their leadership, Mobile Solutions has achieved significant revenue growth and is now considered one of the most highly regarded vendors in the MMS industry. The transaction closed in August 2016 and financial details were not disclosed. Since 2008, Mobile Solutions has been a leading provider of managed services for enterprises in a wide range of industries, including construction, general contracting, transportation, real estate and software. Specializing and mobile expense management, Mobile Solutions helps companies manage the entire life cycle of mobility. The company’s SaaS portal provides an advanced, easy-to-use technology interface that automates the management of mobile and telecom costs, assets, usage, plan changes, invoice processing and reporting. 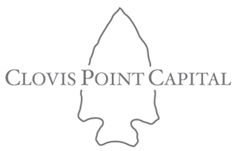 Clovis Point Capital is a Houston, Texas based private equity firm that pursues investment opportunities in lower middle market companies with scalable business models and proprietary products or services. Clovis Point focuses on change of control and growth equity investments and typically invests $5-$10 million per investment. The fund looks to work closely with talented management teams to provide the necessary strategic and financial support to allow companies to accelerate growth and seize market share.